Smooth curves and an elongated design with seemingly endless aerodynamic contours, the Volkswagen Arteon is a thoroughly distinctive and eye-catching vision. A traditional Saloon, set on a long wheelbase, the Arteon offers a spacious and elegant drive. The name Arteon comes from Latin, meaning art, hence the design of the vehicle has been the primary focus to show the quality of the car. 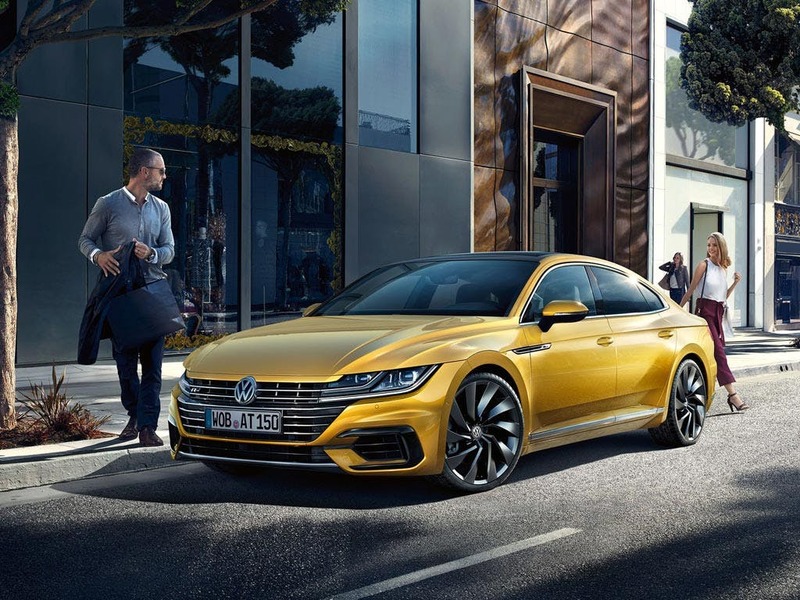 To see the Volkswagen Arteon for yourself, visit your local Beadles Volkswagen dealership in Kent. 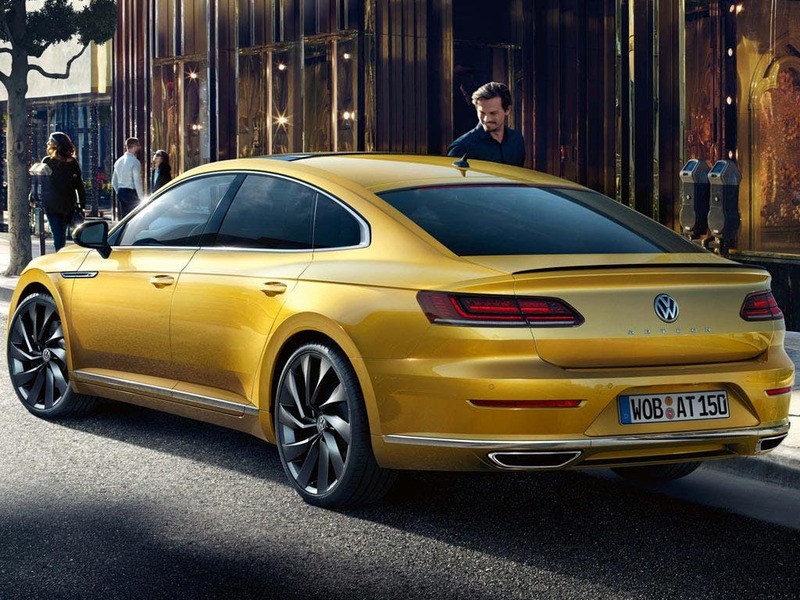 Discover all the latest Volkswagen Arteon offers currently available. 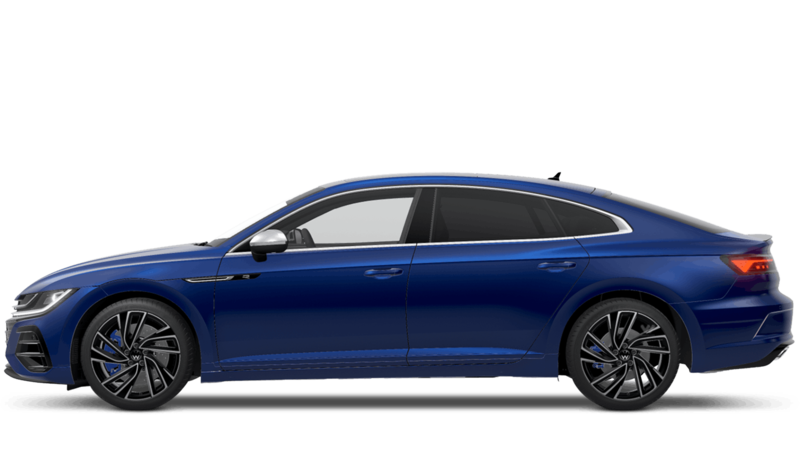 Every detail matters, view the Volkswagen Arteon technical specification. 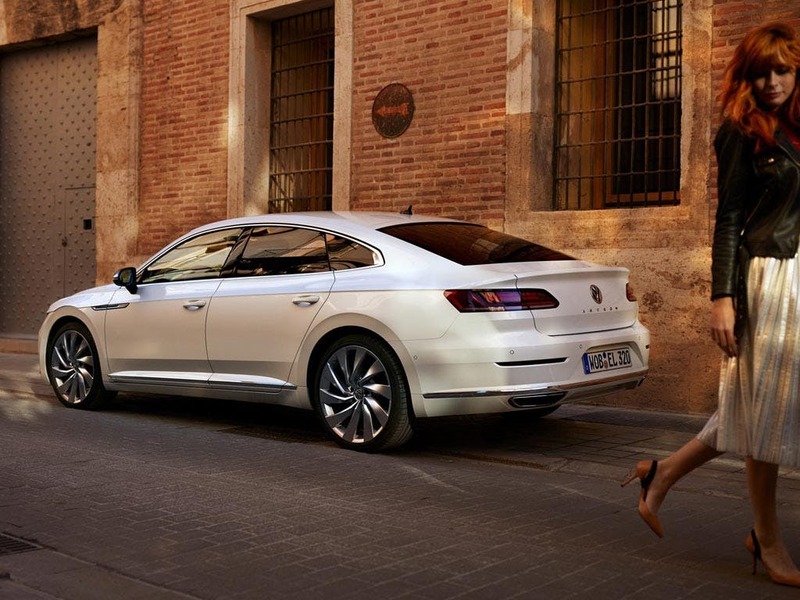 Download the latest Arteon brochure. 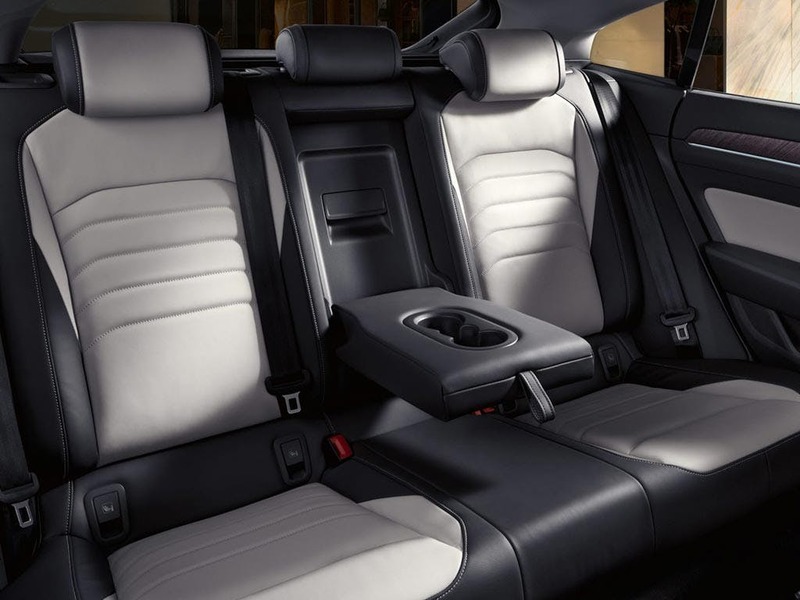 For luxury and comfort, the seats are ergonomically designed and covered in soft, yet durable Nappa leather. The seats have a six-way adjustment, so you can create the perfect driving position for your needs and ensure that your back is thoroughly supported at all times. For complete driver control, there is a multifunction leather steering wheel so you can adjust settings as necessary and be kept up to date with necessary information from the Active Info display. 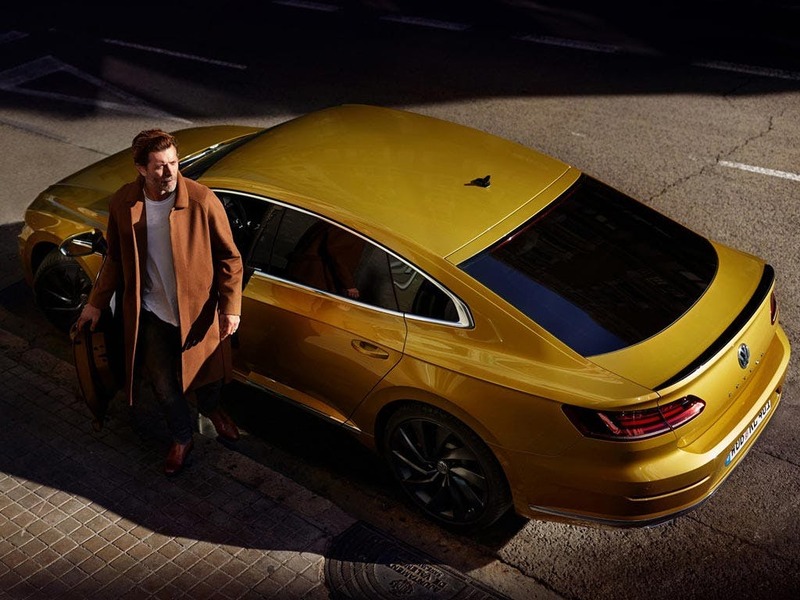 With a seamless elongated shape, the Volkswagen Arteon gives plenty of space for the driver and passengers but also offers an impressive amount of luggage capacity too. There is an ample 563-litre load space in the rear of the vehicle, which can be accessed by putting your foot under the rear of the car, ideal if your hands are full. To close the boot, it simply requires a touch of a button. For peace of mind and added reassurance, the Volkswagen Arteon comes equipped with a range of safety features. Dynamic Light Assist is a useful safety feature that offers automatic main beam control, so you always have an excellent view of the road. Another great feature is the Area View function, where you can see all the blind spots around your vehicle, so you are always aware of any imminent danger. To increase driver enjoyment, the car comes with the XDS electronic differential lock, which helps to improve traction and make the vehicle more responsive giving you greater pleasure with every corner. 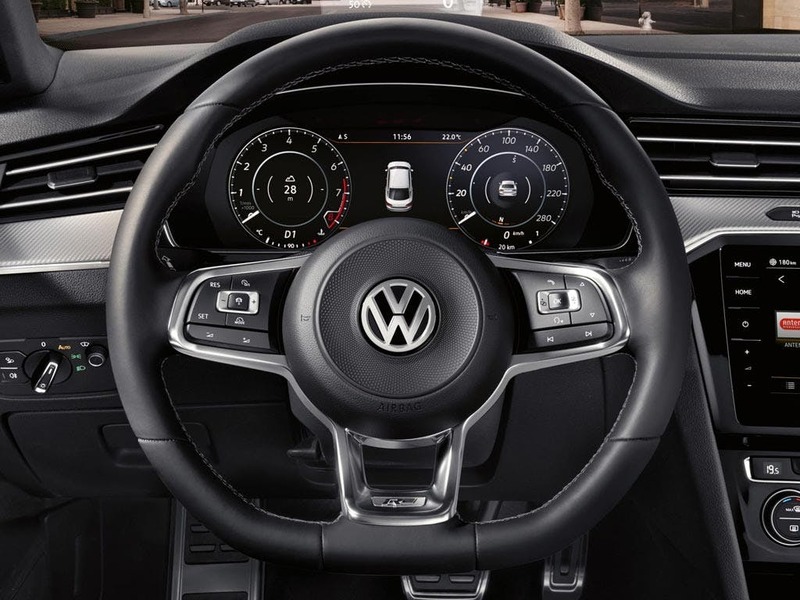 For passenger entertainment, the Volkswagen Arteon comes with a first-class infotainment system complete with premium audio capabilities to make your music sound better. The infotainment system also has navigation capabilities, so that you always take the best route to your destination. 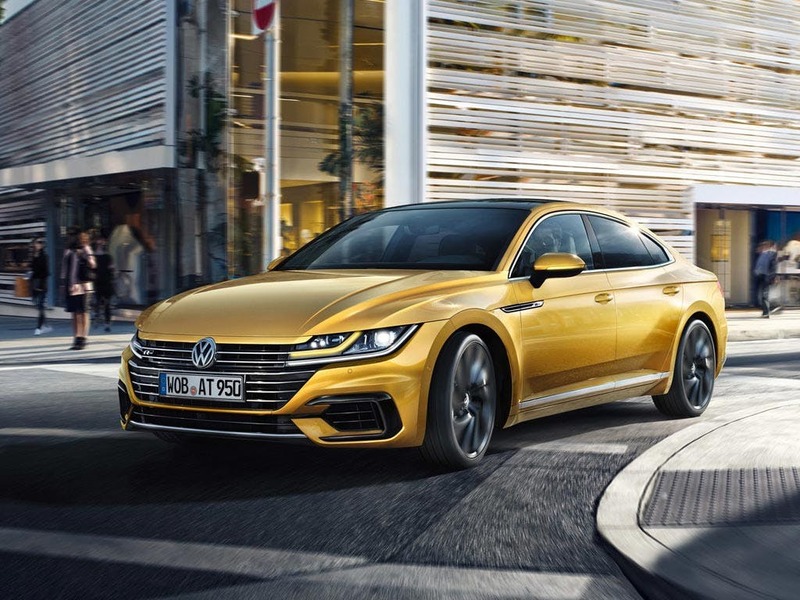 Experience the new Volkswagen Arteon for yourself by booking a test drive at your local Volkswagen dealership in Kent. If you’re looking for more information about the Arteon or want to discuss the best purchasing options available for you, visit your local dealership or call us to speak to a friendly member of the Beadles Volkswagen team who will be on hand to help answer your enquiries. of customers that bought an Volkswagen Arteon would recommend to their friends and family. I'd suggest Beadles Volkswagen Sevenoaks to a friend because the staff are professional yet friendly, and also, I have now bought my last three cars from the dealership.